Ellis is a rigorous thinker in his own right. While acknowledging his debt to the Buddha as the first proponent of the Middle Way, he has distanced himself from Buddhism and no longer identifies as a Buddhist. He has sought to uncover the principles of the Middle Way as they are found throughout human culture: in Christianity and Judaism, various secular philosophies, as well as in psychology and the natural sciences. Moreover, since the Middle Way is to be practised in the context of our actual lives as ethical beings, Ellis applies its principles to our political and economic existence, our understanding of history and our engagement with the arts. In The Buddha’s Middle Way, Ellis returns to Buddhist sources and presents us with a compelling account of how Buddhism as it is currently taught can serve both to obscure and illuminate the Middle Way. In becoming a world religion based on metaphysical beliefs, Buddhism has, for Ellis, frequently lost touch with the very principle of the Middle Way that it claims to embody. Through focusing on the pragmatic and skeptical dimensions of Buddhist thought, in recovering the potency of its classical metaphors, and by highlighting how Gotama interacted with his own contemporaries, Ellis reveals how the principle of the Middle Way infuses the totality of what the Buddha taught. To practise the Middle Way entails more than just avoiding the extremes of self-indulgence and self-mortification, as it is defined in the Buddha’s first sermon in the Deer Park at Sarnath. Avoiding such extremes provides no more than a useful example to illustrate a far broader principle. For Ellis, the Middle Way is a metaphor for an entire way of life that relinquishes all metaphysical absolutes. It is, in Ellis’s words, “a principle of judgement, focusing on how we respond to our experience rather than claims about how things finally are.” As such, the Middle Way unfolds entirely within the provisional, ambiguous world of our lives as uncertain yet ethical beings. I hope this provocative book will encourage Buddhists to reconsider the Middle Way that lies at the core of their tradition and to appreciate how this principle links their tradition to many others, both ancient and modern, secular and religious. The Buddha’s Middle Way will at the same time provide an excellent critical introduction to the Buddha’s life and teaching for those less familiar with Buddhism. As a result of Ellis’s groundbreaking work, the Middle Way may cease to be thought of as an exclusively Buddhist idea but a universal legacy of being human. The Middle Way, as far as we know, was probably first explicitly taught by the Buddha. 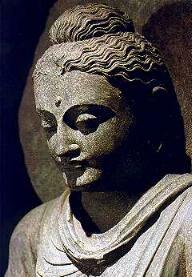 The Buddha was a man who is said to have lived in the north-eastern Indian subcontinent about 2500 years ago. However, it’s important to understand and practise the Middle Way in relation to the issues, not of his time, but of ours. The Middle Way can provide a key to living our lives more adequately in every sphere of experience. How can we deal with stress whilst maintaining effectiveness in a demanding job? By practising the Middle Way in meditation, maintaining an interval of effective relaxation between fixed, wilful ways of operating and inadequate surrender. How do we make moral judgements in a world where old certainties have dissolved? By finding the Middle Way in which no moral principle is absolute, but all moral principles can potentially provide us with reflective tools to promote moral adequacy. How do we deal with a polarised political debate? By following a Middle Way of critical reflection, in which we expect to find some conditions addressed in all perspectives. Nevertheless, we’ll recognise a need for decisive judgement to meet the present conditions as well as we can. In personal practice, in science, in ethics and politics, in work, in relationships, and in our response to environmental crises, we need the Middle Way today. For a long time I have been writing about the Middle Way itself, but avoided writing about the Buddha. Why? Because too many people think of the former only in dependence on the latter. The Buddha did not create the Middle Way, any more than Newton created gravity. It’s the Middle Way itself that needs the primary attention. This point also gets forgotten far too readily in partisan debates between scholars or schools of Buddhism. To write about the Buddha is often to subject oneself to much irrelevant partisan reaction. However, there are also some strong positive reasons to write about the Buddha. As humans, we are storytelling creatures, and we need stories to inspire us. Not only does the Buddha provide a great archetypal story through which to start to understand the Middle Way, but many people will only have heard of the Middle Way in the first place because they have heard of the Buddha and Buddhism. Buddhism, for all the complex issues it raises as a tradition, also remains a major source of understanding of the Middle Way. It is only through Buddhism that I myself first started to understand it. People who approach the Middle Way from this direction often need clarification of the issues. It is in this spirit that I am setting out to write about the Middle Way in relation to the Buddha. Though there are critical issues at many turns, my main goal is to provide a clear and positive account of the Middle Way through its exemplification in the stories about, and teachings of, the Buddha. Starting with what the Buddha did and said is one way of gaining a basic appreciation of the Middle Way. We can then move on to consider other possible directions from which we can understand it. I will be narrating the early life of the Buddha as a demonstration of the process of discovering the Middle Way, leading up to the first detailed account of its meaning in 1.f. The helpful re-interpretation of the Buddha and of Buddhism for today has taken considerable steps forward in recent years through the work of several Western and Secular Buddhist teachers and writers. These have inched their way towards a clearer and more helpful account of the Buddha’s teachings free of dogmatic accretions. Foremost amongst these, Stephen Batchelor must particularly be mentioned. Batchelor’s recent book After Buddhism offers in my view the best attempt yet to disentangle the helpful path from the traditional dogmas. However, none of these writers seem to have yet managed to divest themselves of the final encumbrance to discussion of the Buddha – that of appealing to historical authority. They want the Buddha they argue for to be the real Buddha, who is more authoritative because he is found in the earliest (or most canonical) texts. All such arguments are hostages to fortune, dependent on changing historical or textual claims. However well justified these may seem now, they are subject to ambiguous evidence, and endless scholarly disputes over the interpretation of that evidence. Moreover, they have no relevance to the content of the Buddha’s insights, which – if they are worth anything at all – should certainly be able to stand in their own right. So, in this book, I want to offer the book that I wish someone else had written before now: an interpretation of the Buddha’s recorded teachings based only on practical criteria, rather than on disputable assumptions of how we could know about the ‘real’ historical Buddha. Why am I concerned with the Middle Way primarily, rather than the Buddha’s other teachings? The ones that generally receive more emphasis in Buddhist accounts are the Four Noble Truths, The Eightfold Path, The Threefold Refuge, Conditioned Arising, and so on. The argument for this emphasis will emerge more completely as the book goes on. The key point of this argument will be that all these other teachings require the Middle Way to be interpreted helpfully. If we begin with them and interpret the Middle Way in their terms, we may end up with dogma that is inadequate to helping humans in their changing conditions. The Middle Way, however, is a genuinely universal teaching which focuses on human judgement rather than on claims about reality. It thus provides a starting point for the helpful interpretation of every other teaching. The Middle Way, as I shall understand it and present it here, is a metaphor for a practical method of improving our judgements at every point that conditions present to us. The way begins right now at whatever point you have reached, and stretches indefinitely into the judgements of the future. That way is the ‘middle’ way not because it is necessarily moderate or compromising in any conventional sense. Rather it is ‘middle’ because it avoids either positive or negative absolute claims. As we will see, the Buddha’s life and teachings provide many inspiring demonstrations of this basic, practical, universal Middle Way. However, the Middle Way has also been presented in less helpful ways. Issues of comparison between different models of the Middle Way in Buddhism will be tackled later in the book (section 4). Positively, then, this book aims first to offer an account of the Middle Way through the Buddha. However, there are various other things that I should point out at the outset that it is not, to avoid any possible misunderstanding. It is not a promotion of, nor an apology for Buddhism. I have learnt a great deal from Buddhism, and at an earlier stage of my life was formally committed to it, but am so no longer. I am aiming to communicate some things I have learnt from the practice of Buddhism, and relate them to other sources of insight, rather than to promote the Buddhist tradition as such. Nor, on the other hand, is this a scholarly book in the tradition of Buddhist Studies, even though it does have a serious academic case to make. As already mentioned, I am not aiming to uncover the ‘true’ or ‘historical’ Buddha by the examination of texts, nor indeed by any other method. I will refer to texts about the life and teachings of the Buddha (mainly those from the Pali Canon) so as to acknowledge sources of inspiration. I will not be trying to prove anything through their authority, whether explicitly or implicitly. This point needs to be stressed at the outset, because it is one that seems to be easily forgotten by readers who are familiar with traditional Buddhism and its scholarship as they read through this book. An appeal to authority should not be read into my arguments at any point, and it should not be assumed from the texts I select that I accord them more historical authority than others. I will generally select what are commonly held to be earlier texts, only because they tend to offer a clearer, more consistent, and more balanced view of the Buddha, not because of their age per se. Rather than a ‘proof’ in the terms of the tradition or of its academic interpretation, I am seeking a practically helpful interpretation of what the traditions about the Buddha offer us. Cultural acceptability is thus also a factor in my selection of texts, because I want to encourage such helpful interpretations of texts that are already widely meaningful to people. This means that, for the most part, I will be working with the translated texts available to English readers. I won’t be getting too involved with questions about the origins or translations of those texts. This is not because I am unaware of the linguistic and textual questions that surround the texts (I have studied Pali at Cambridge with the great scholar, K.R. Norman). Rather it is because I consider those questions as for the most part having little practical consequence. It is only if we absolutise the authority of religious texts, assuming that they are the unquestionable source of truth, that we need to start worrying unduly about their authenticity. As I shall argue, the practically helpful message of the Middle Way itself precludes giving that kind of absolute authority to texts. I am primarily a practical philosopher rather than a scholar. I am grateful for the past labours of scholars in translating the Buddhist scriptural texts. However, my experience of Buddhist scholarship has led me to the conclusion that its general impact is often an unnecessarily conservative one. By constantly focusing people’s attention on questions of the language and historical authority of texts, they reinforce the unhelpful belief that we should give these texts pre-eminent authority as sources of belief. In my experience, scholars usually avoid exploring the practical content of texts critically, or even appreciating it symbolically. I am interested in the content of the texts in the sense of what they can tell us that will help us to develop and improve our lives. Much other material regarding texts can and should be dispensed with – not before the texts have been acknowledged as sources, but long before the discussion of them starts to become an end in itself. Of course, it is always possible that we could be mistaken in our interpretation of ancient texts (as indeed, we could with modern ones). However, a reasonable attempt to understand the range of meaning of key Pali, Sanskrit or other words is enough, before it becomes an end in itself. We should reach a point where it is acknowledged as far more important to find a practically helpful interpretation than one that is merely justified by ‘accuracy’, howsoever determined. I am undertaking this task fresh from the completion of a similar one in relation to Christianity (‘The Christian Middle Way’). If you believe that the Middle Way is essentially Buddhist, please look at my discussion of Christianity for a disproof through counter-example. There I similarly offered an interpretation of the gospels and the Genesis Creation story that was led by the practically-helpful meaning we could get from them. I took context into account sufficiently to offer a coherent interpretation of the text, but not so as to be drawn into irrelevant scholarly or sectarian disputes. The Middle Way can be articulated in relation to any tradition whatsoever, whether religious, philosophical, political or artistic, and is not the sole preserve or monopoly of any one tradition. That can be the case even though traditions engage with it to greatly varying degrees (‘The Middle Way in Nazism’ might be rather a limited study). So what I am aiming to do in this book is to explore the elements of the Middle Way that I find in the traditions about the Buddha, not to adopt uncritically any Buddhist account of the Middle Way. Buddhism, like any tradition, offers elements of the Middle Way through which it addresses the conditions it encounters, but lapses into dogma in others. A critical process is necessary in order to distinguish these elements in any tradition. However, when considering Buddhism, a special appreciation is nevertheless necessary for just how far and how explicitly Buddhist tradition has conveyed the Middle Way. So who is this book for? The primary people whom I expect to read it will be Buddhists. Such Buddhists will need to be open to the possibility of understanding the Buddha in ways that are led by the Middle Way. That means led by a case about the practical value of the teachings and the need to avoid abstract absolutes. I hope that they will then be able to adopt, or at least be influenced by, such a practical reading of the significance of the Buddha. In the process they will have a new resource to counteract both traditionalist dogma on the one hand and scholarly distraction on the other. It’s quite possible to be inspired by the Buddha’s Middle Way in a way that is held in common with every human being, Buddhist or not. Thus we can also understand the significance of that inspiration in a way that, via the Middle Way, is compatible with the inspiration and guidance found in other traditions of discourse. However, this book could also be of interest to people who are not Buddhist, but have been put off by the predominance of traditional authority and dogma in Buddhism. I hope this book might help such people to isolate what is most helpful and relevant to their lives in Buddhist tradition, and more readily chart its relationship to what can be found in other traditions. Again, it should be humanity that comes first, Buddhist tradition second. Tackling things that way round may help people engage with Buddhist tradition who would not otherwise do so. The course of this book, then, begins with the basic stories of the Buddha’s life and teachings. These are selected from their original context with an eye to their practical understanding in relation to the Middle Way. Discussion of some of the Buddha’s most famous analogies, and of the Eightfold Path, should then also help to offer Middle-Way-led interpretation of some other key Buddhist teachings. Unavoidably, in relation to this, I will then need to engage more fully and critically with the limitations of traditional Buddhist teaching and the ways that it has developed that are evidently in conflict with the Middle Way. Very often this is a matter of interpretation, but nevertheless it needs to be clearly acknowledged that some very common interpretations of Buddhist teachings are incompatible with the Middle Way. These criticisms were the theme of my earlier book, ‘The Trouble with Buddhism’. However, in this one I hope to put those criticisms much more in the wider context of a positive account of the valuable resources Buddhist teachings do offer. The last part of the book offers parallels between the Buddha’s Middle Way and a number of other possible models for the Middle Way. Some of these go back to ancient philosophy and religion, but the majority are due to more recent advances in scientific theory. Even those who started off being mainly interested in the Buddha alone, then, should finish the book with an awareness of the manifold forms that the Middle Way can take, and its variety of expressions in human experience.